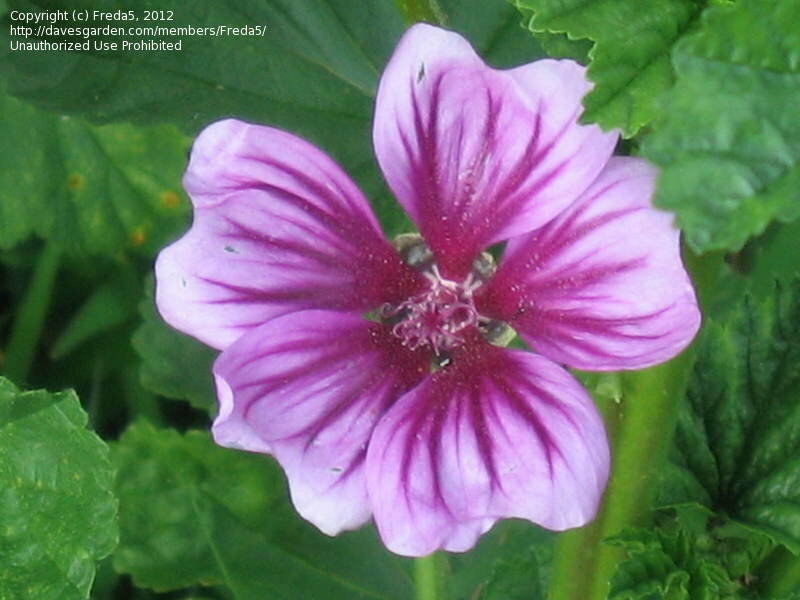 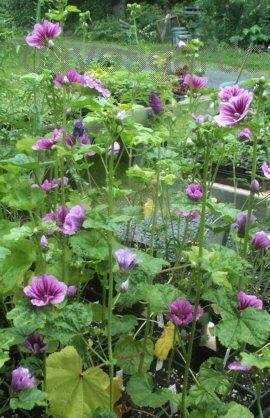 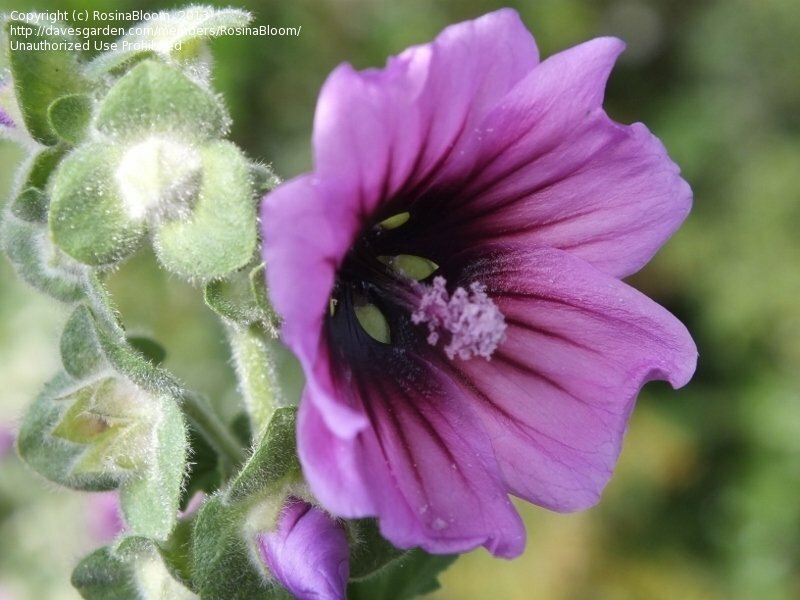 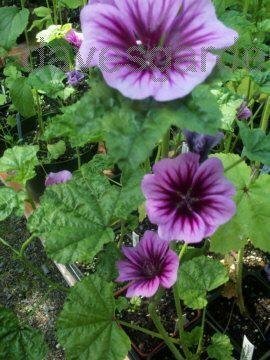 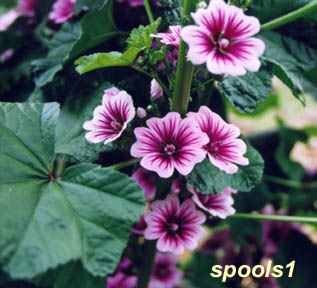 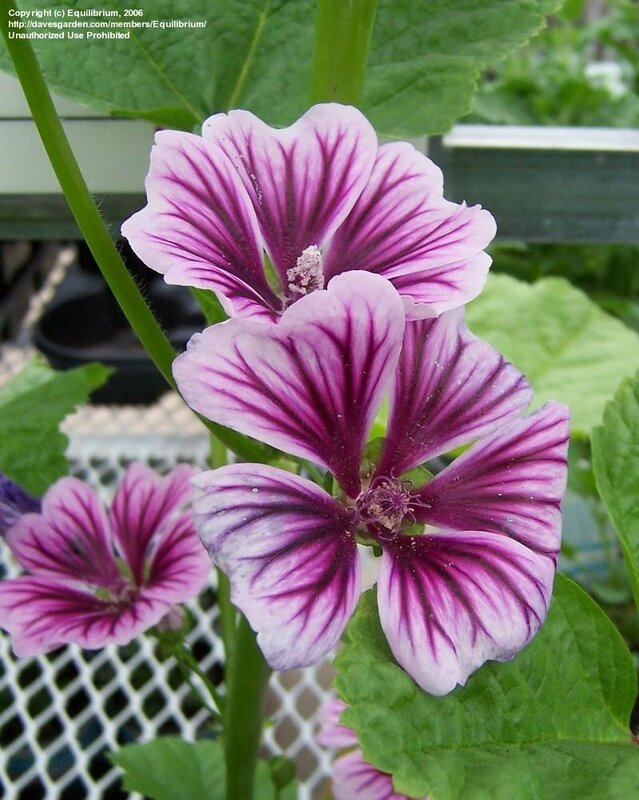 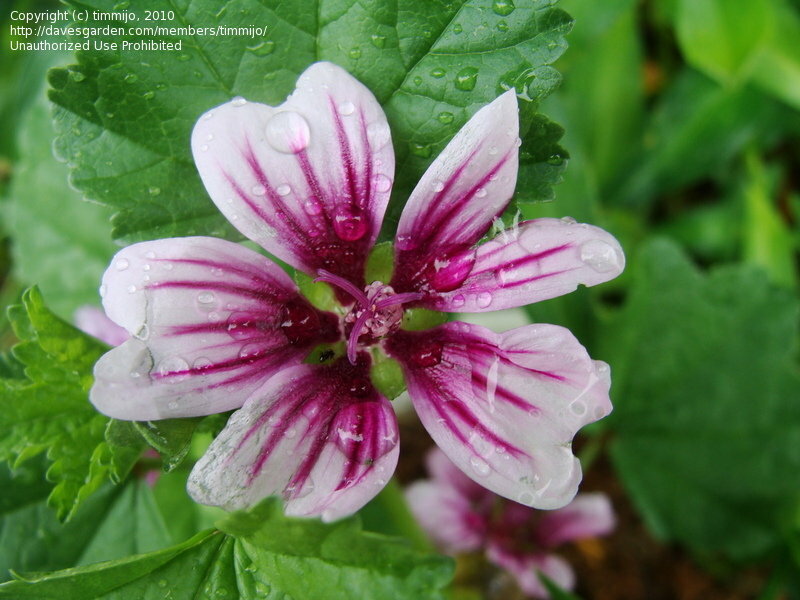 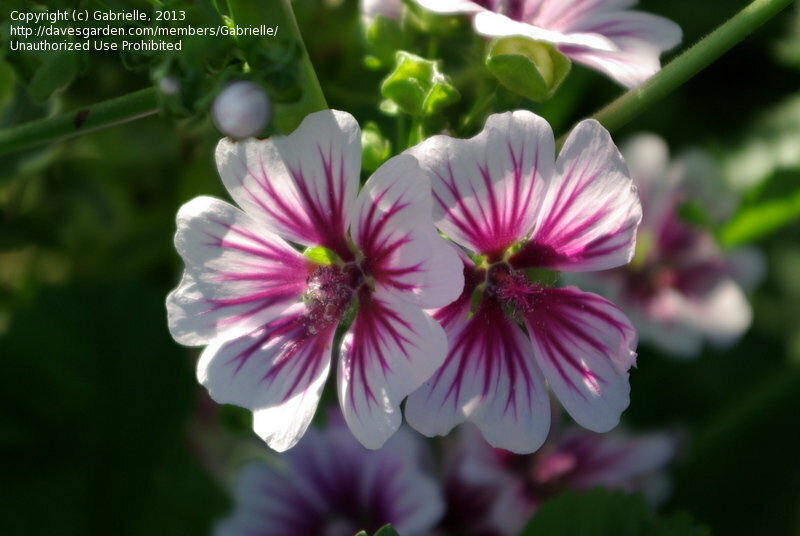 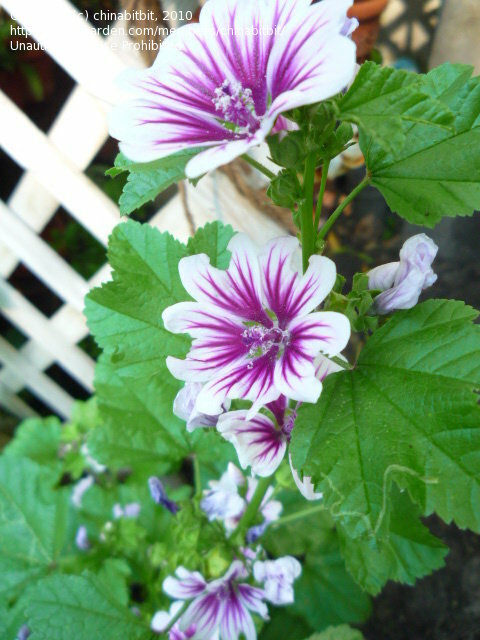 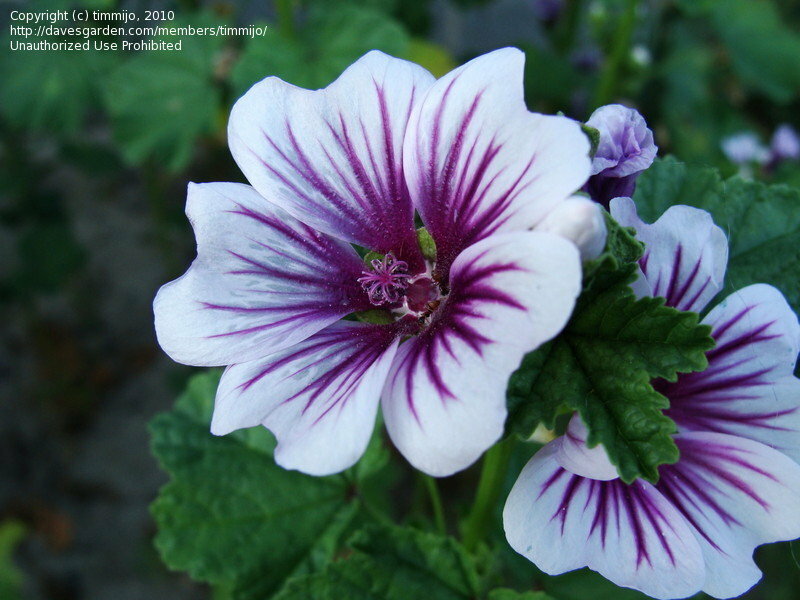 Another pic of malva sylvestris 'Zebrina'. 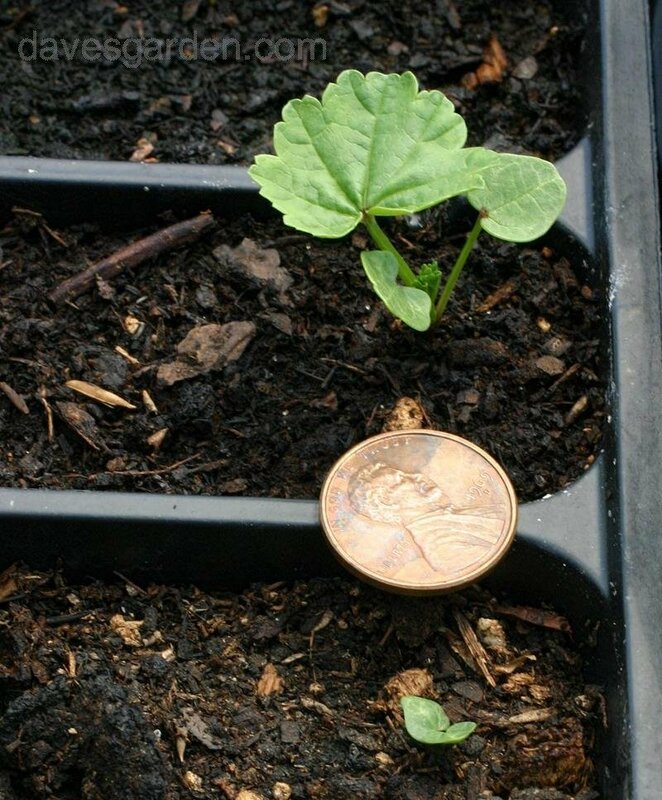 Our guess is a bird dropped the seed. 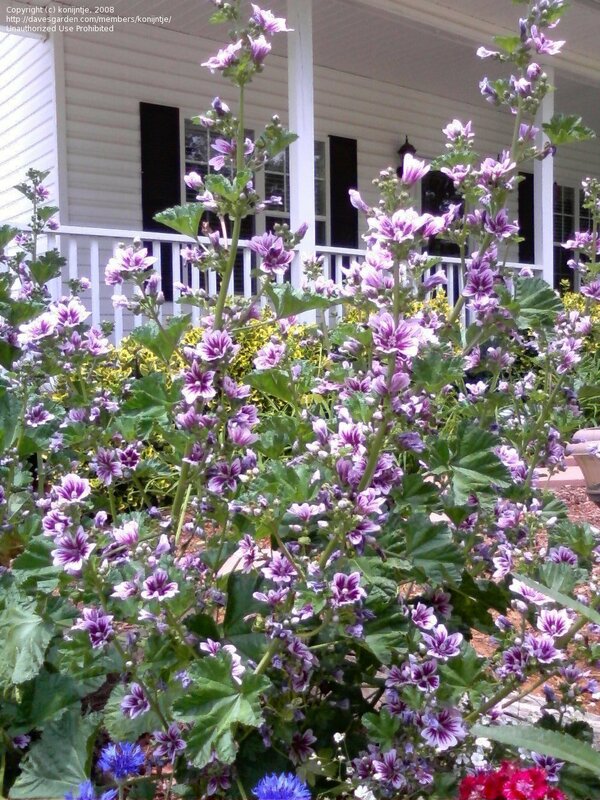 Albertville, Al. 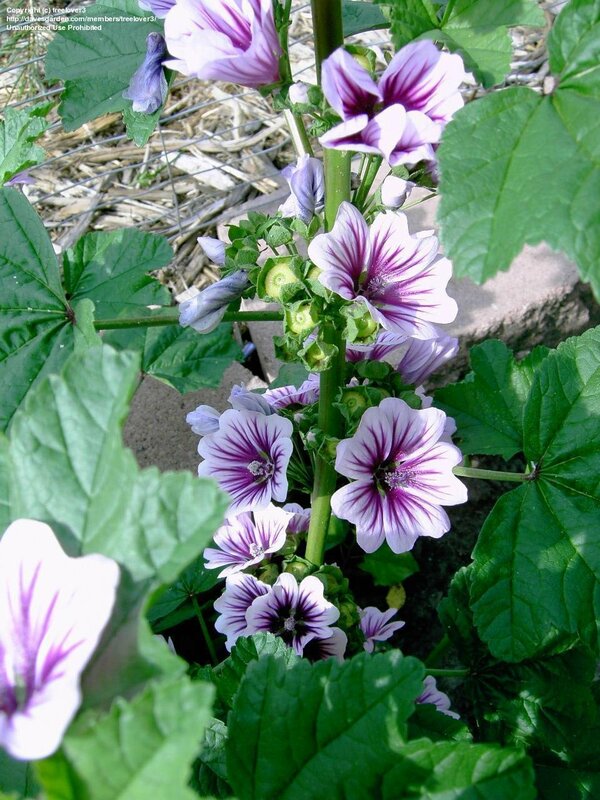 Heavy duty self-seeder that blooms all summer. 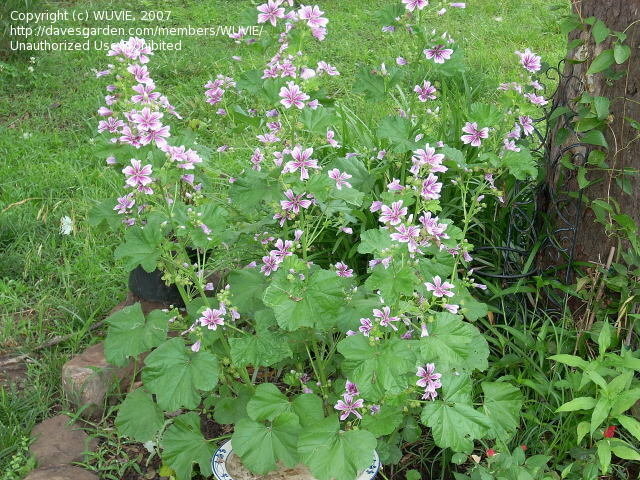 Great for naturalizing. 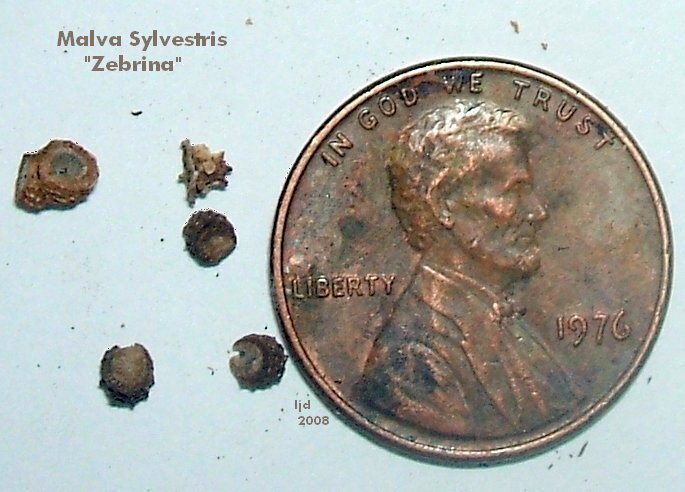 Seeds collected in 2002, planted 2006; photo August 8, 2006. 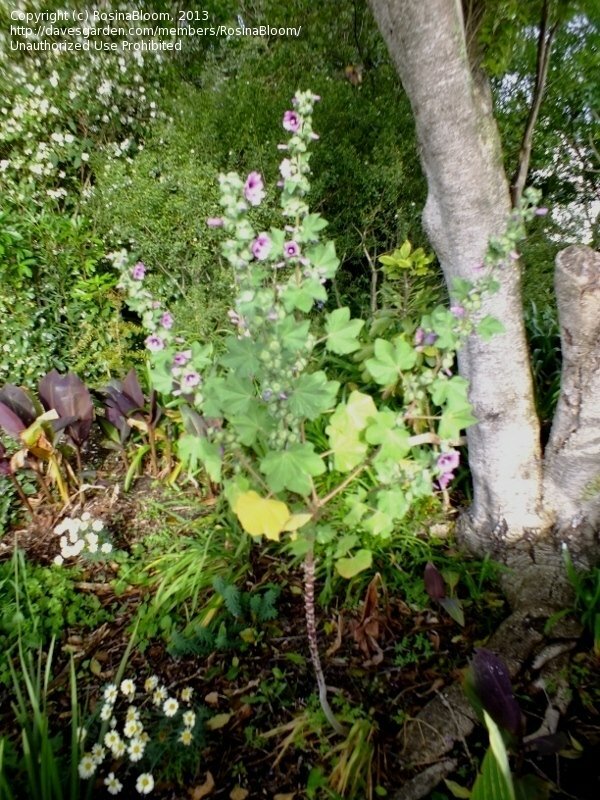 A very mature plot of Zebrina, a delight to the butterflies! 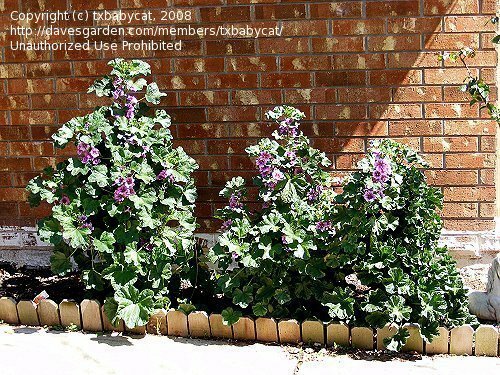 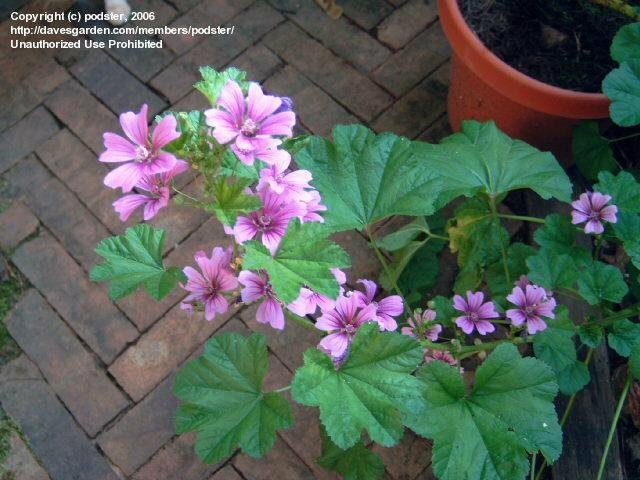 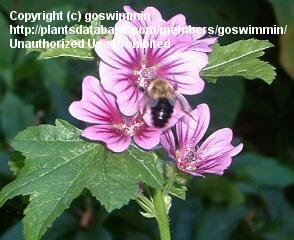 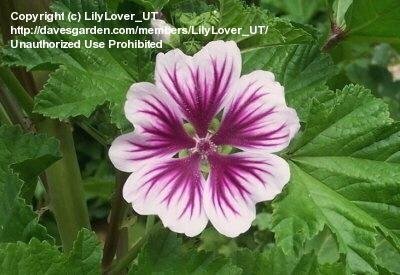 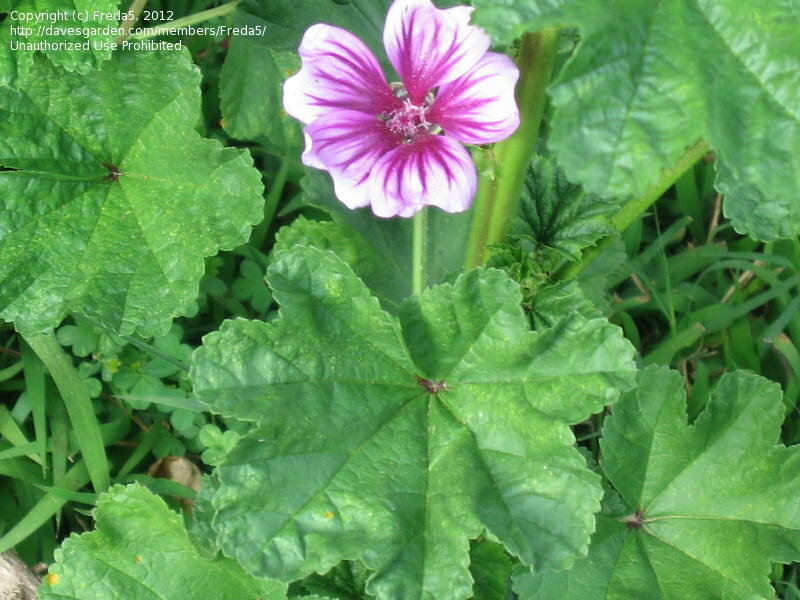 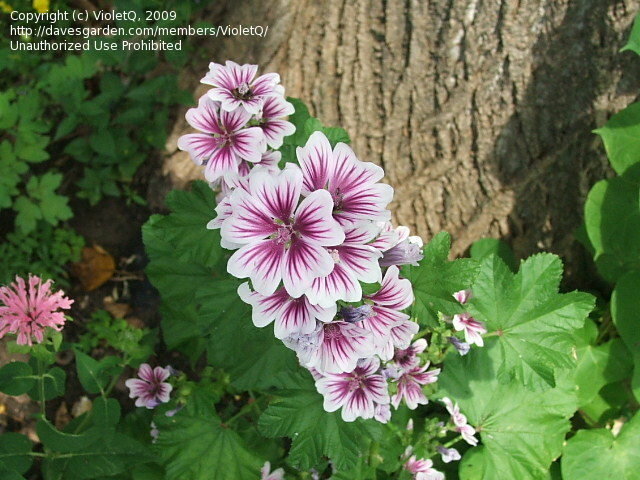 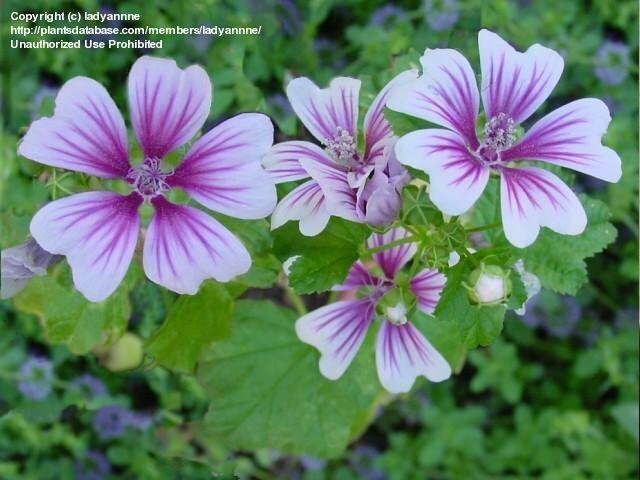 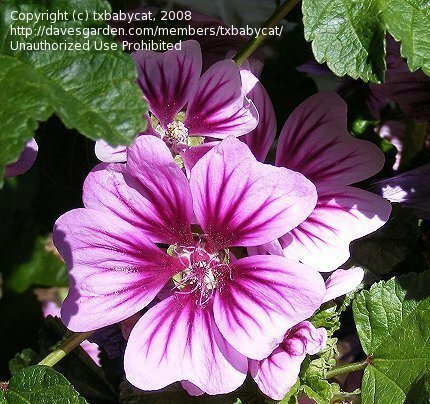 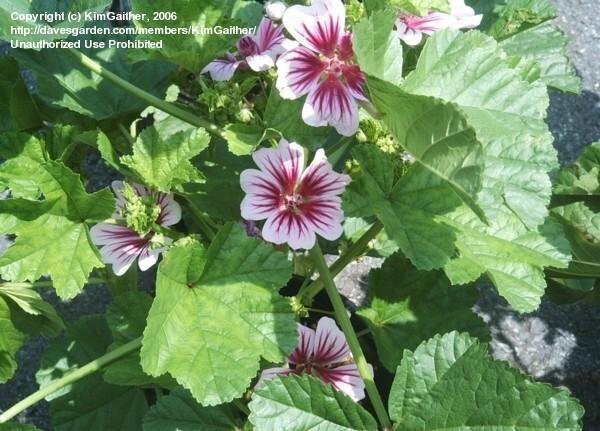 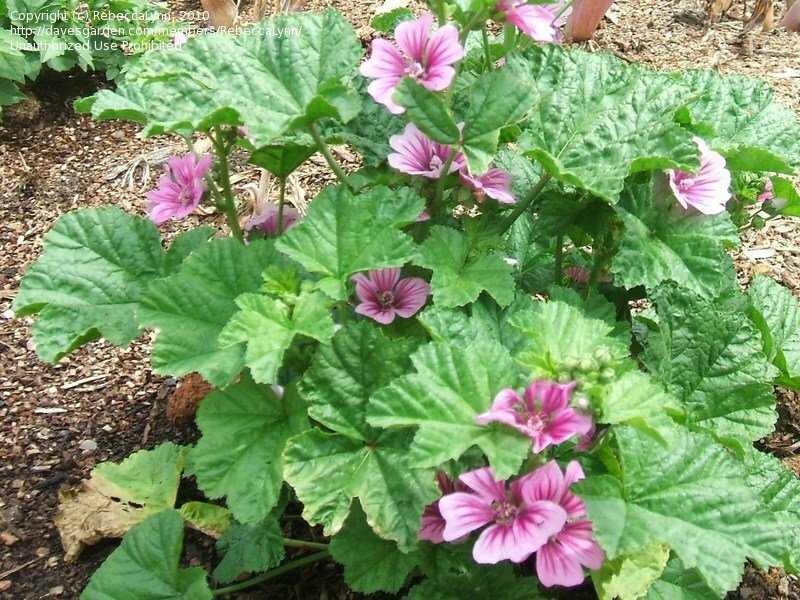 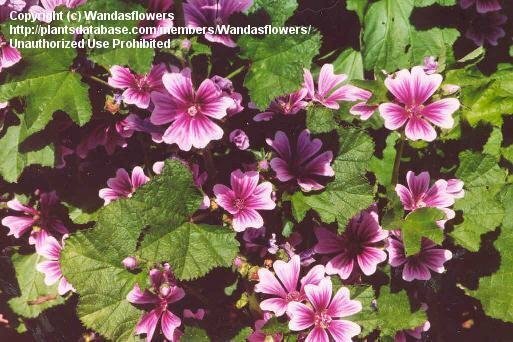 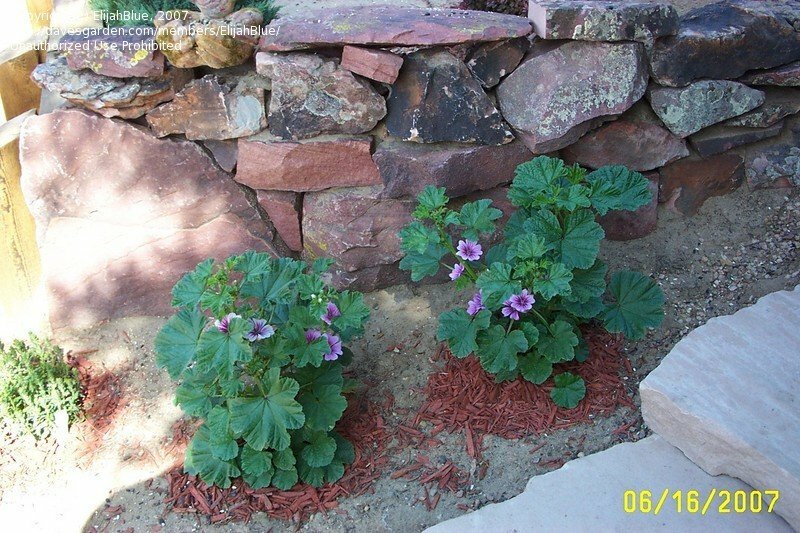 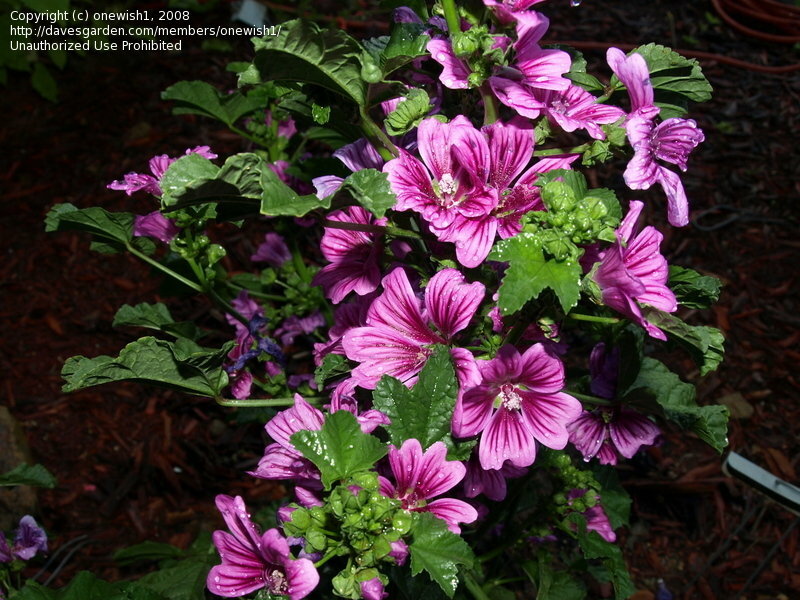 The Malva Sylvestris is a short-lived perennial or biennial. 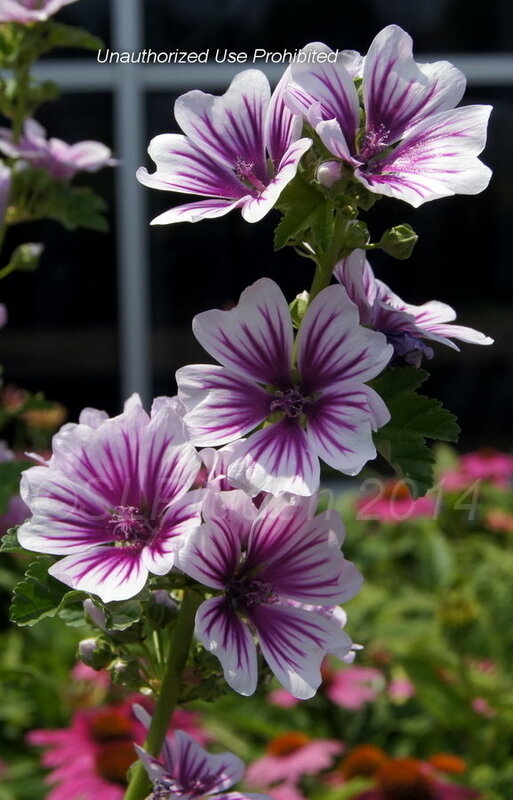 Excellent in containers, or the sunny border. 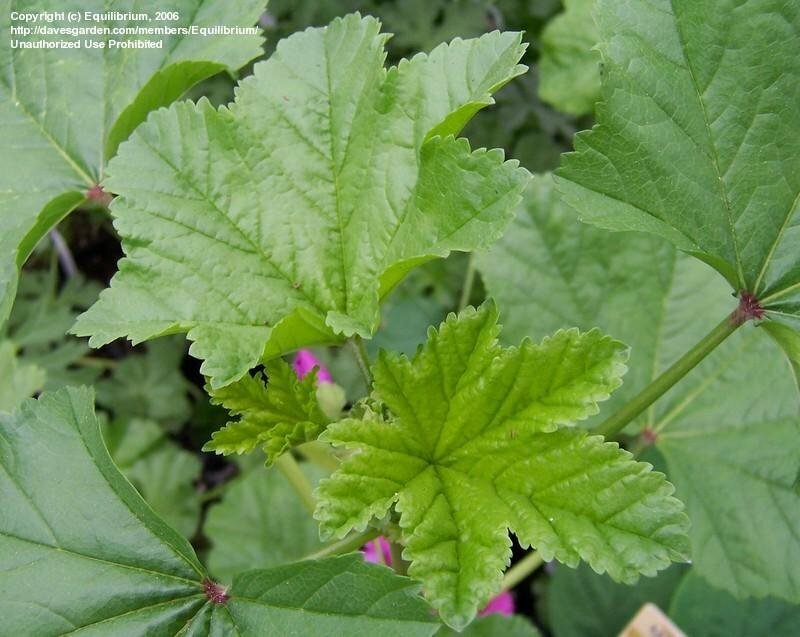 My mysterious leafy green stranger transformed himself! 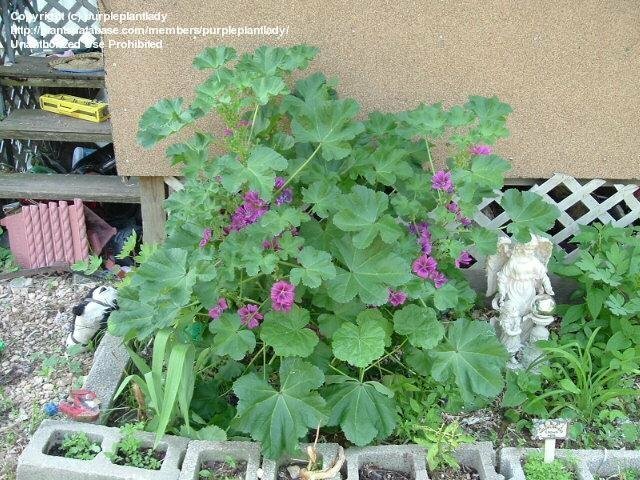 I took this photo on July 2, 2008 only 3 months after receiving it in a trade as a small starter plant. 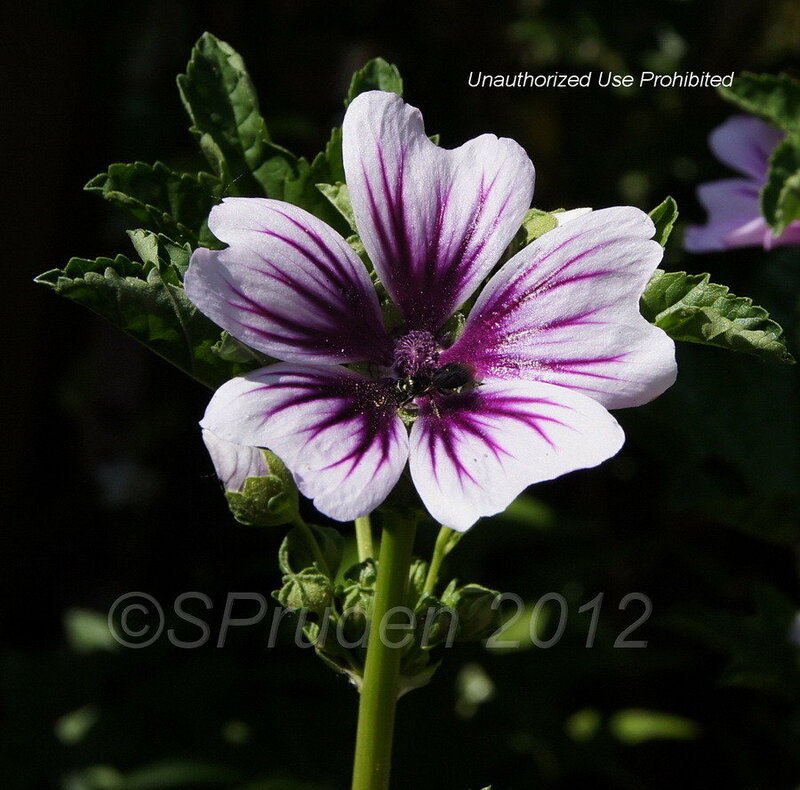 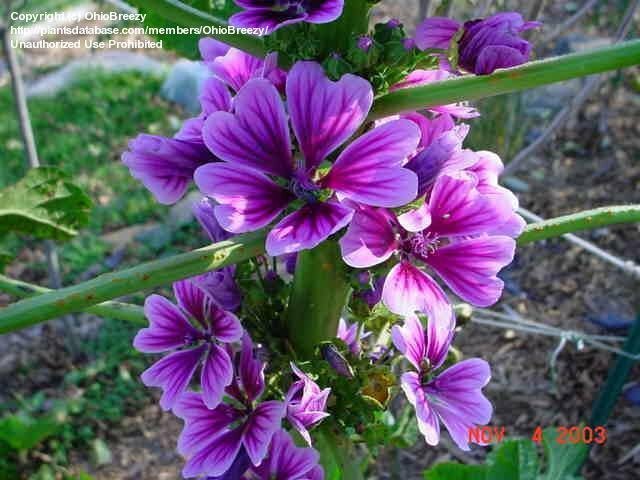 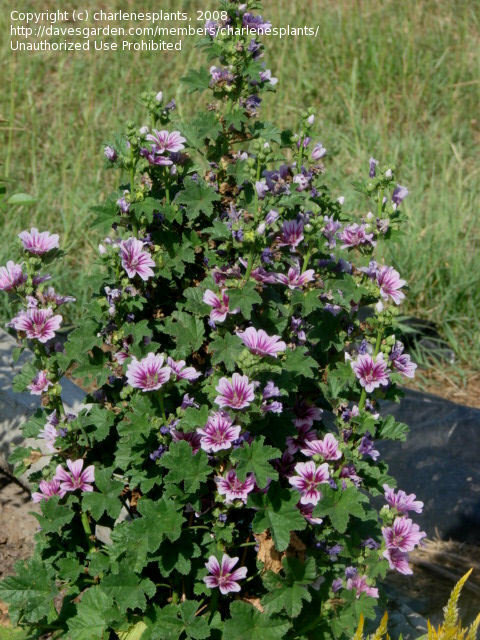 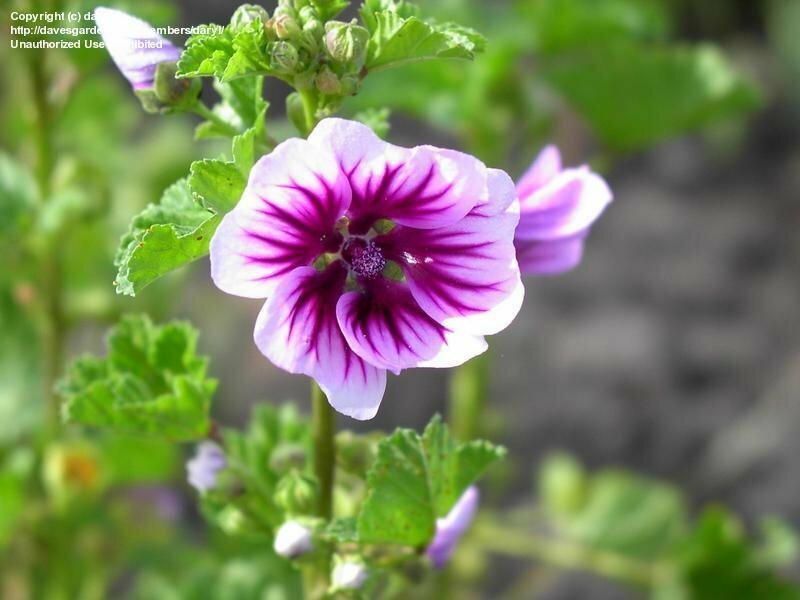 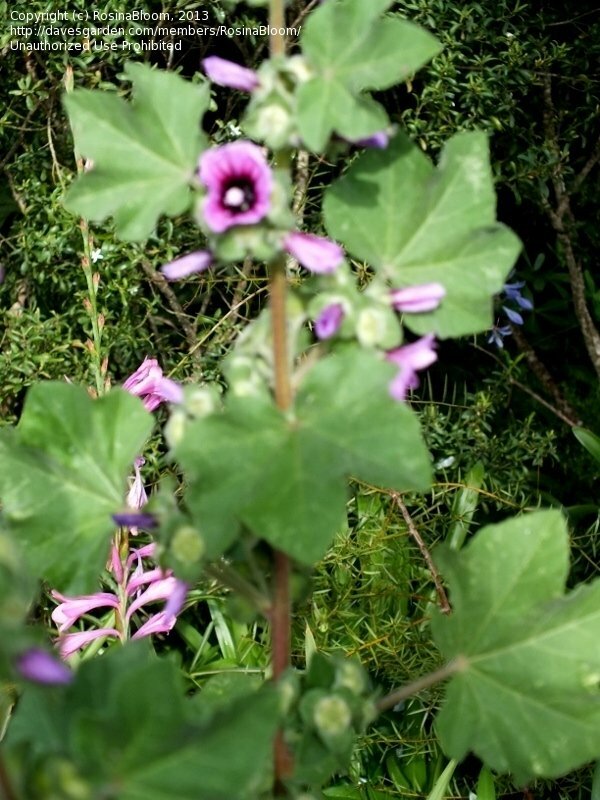 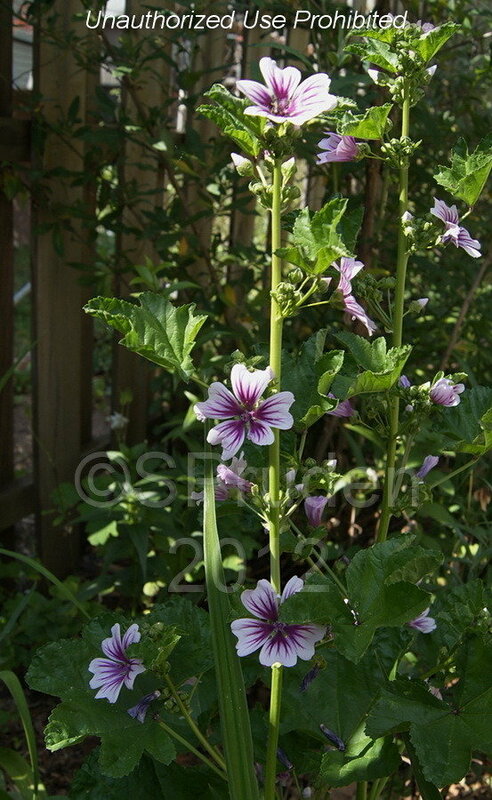 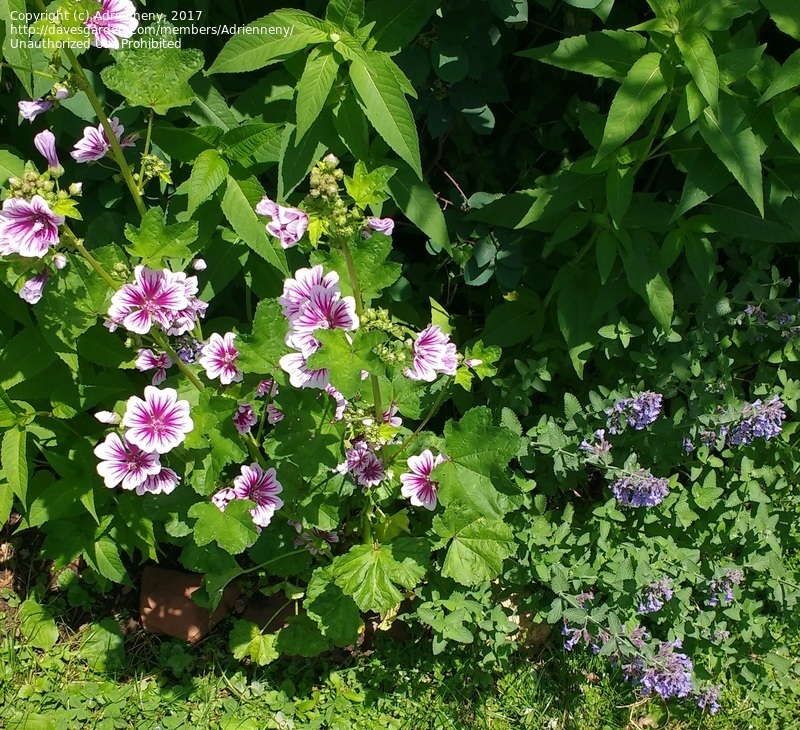 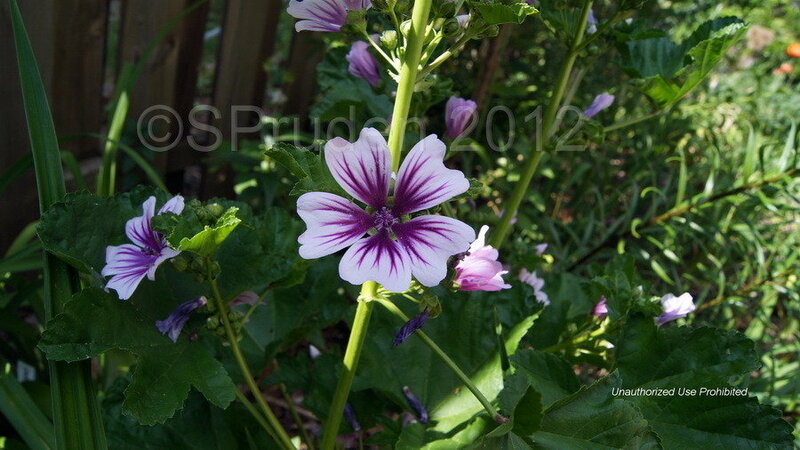 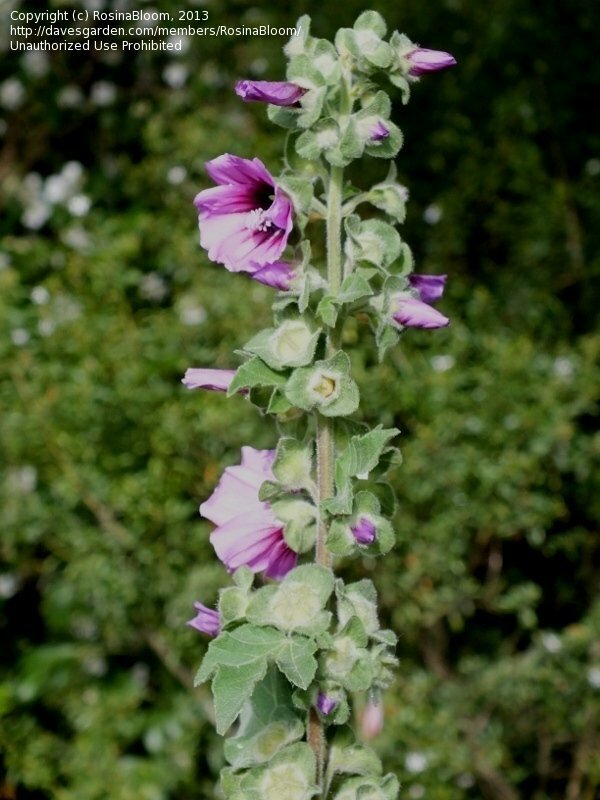 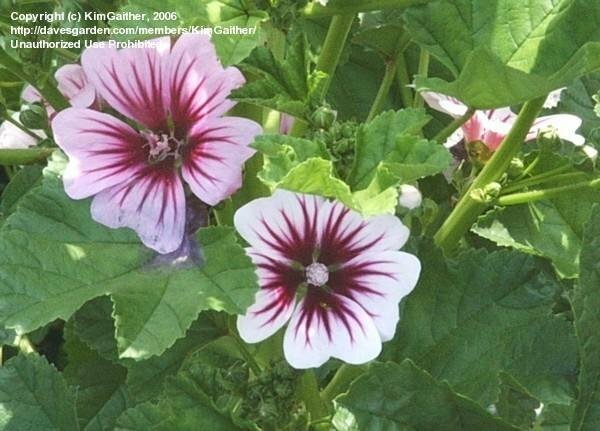 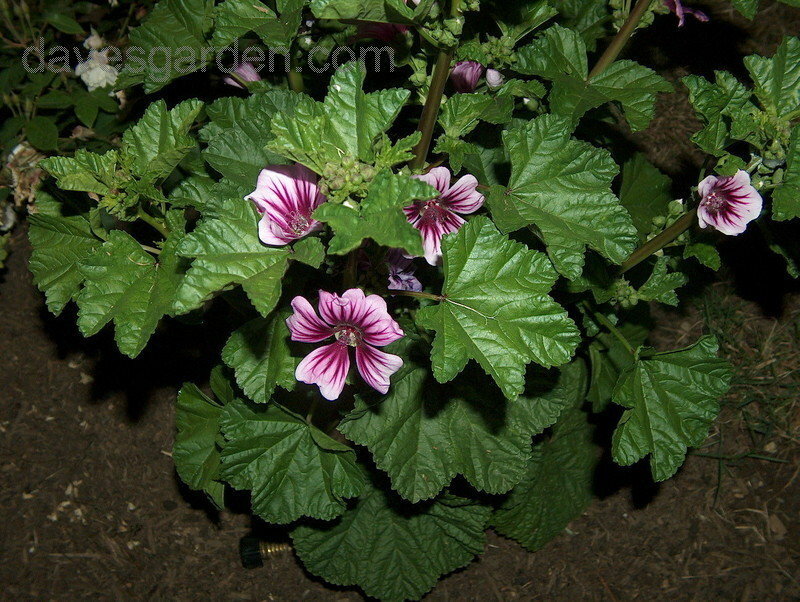 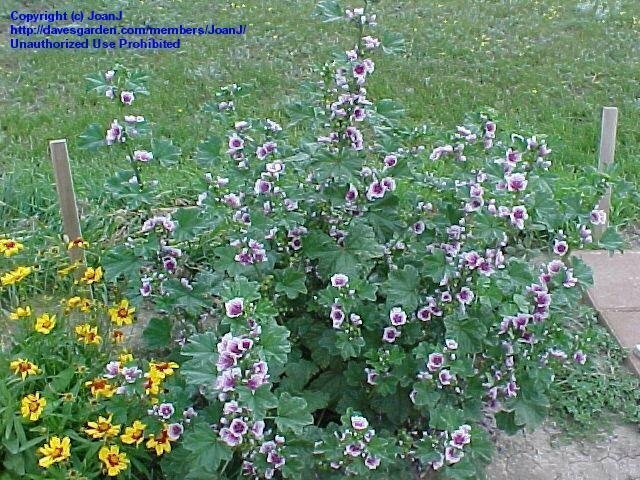 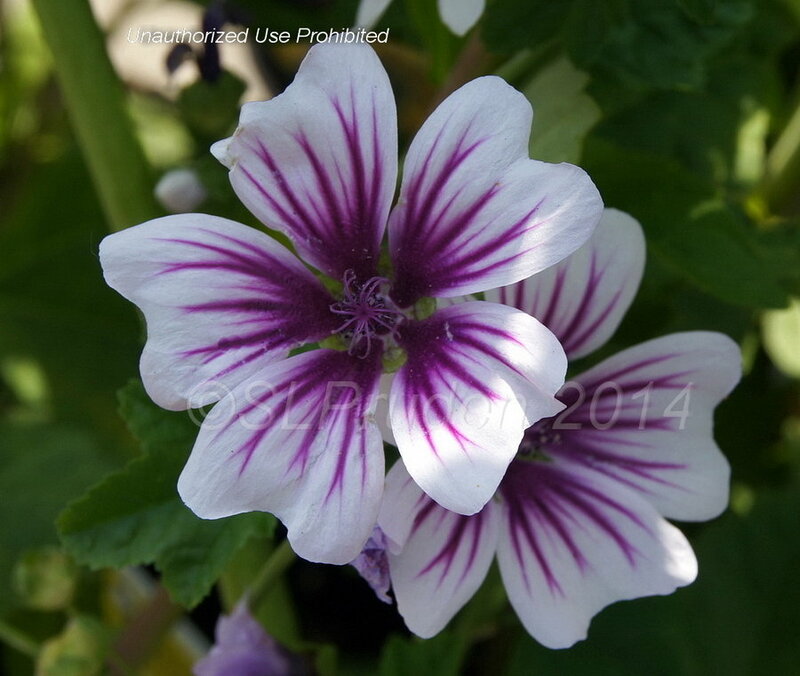 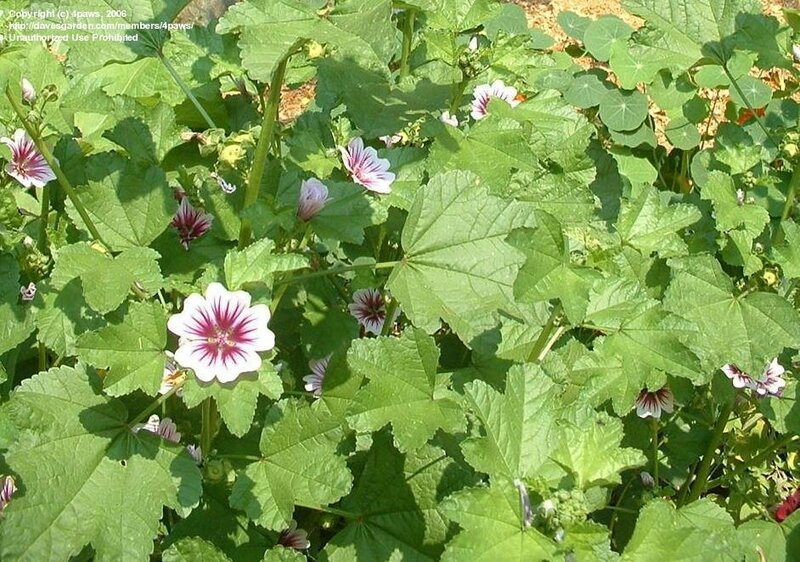 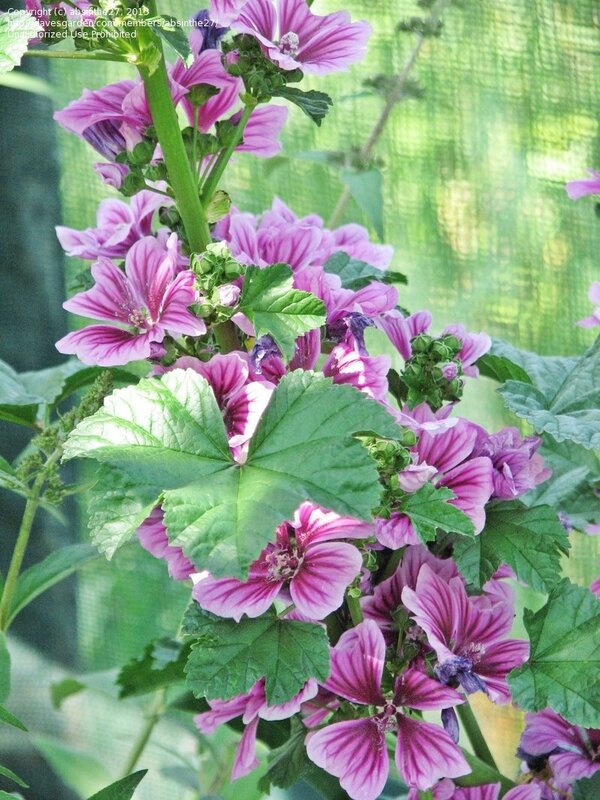 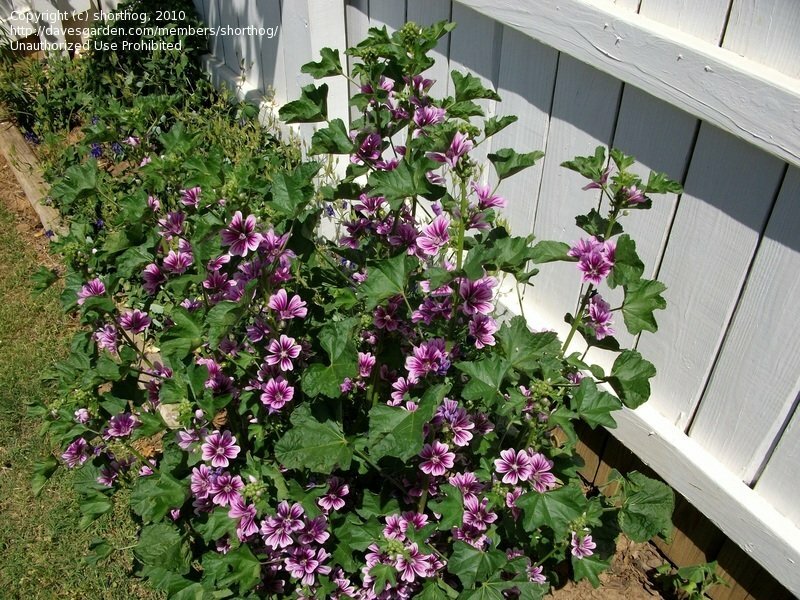 I believe this to be malva sylvestris 'Zebrina' a tree mallow. 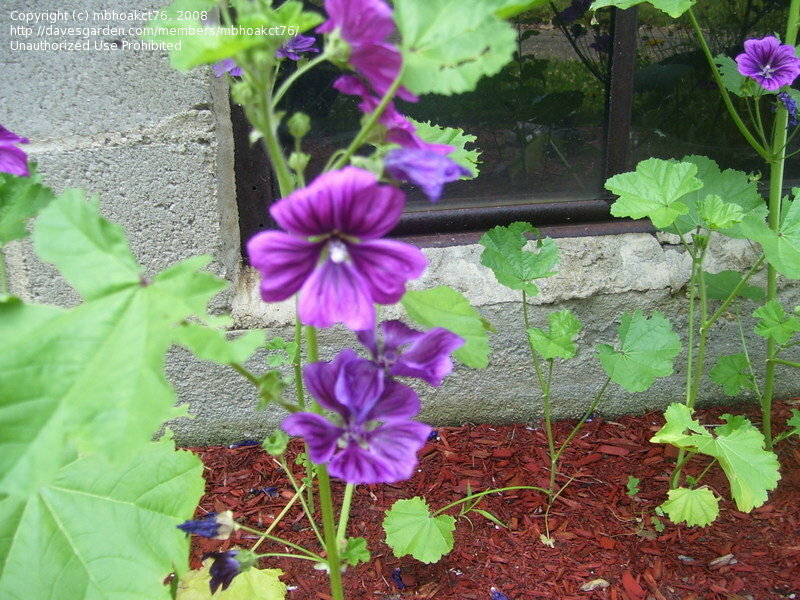 It's growing wild in our flower bed! 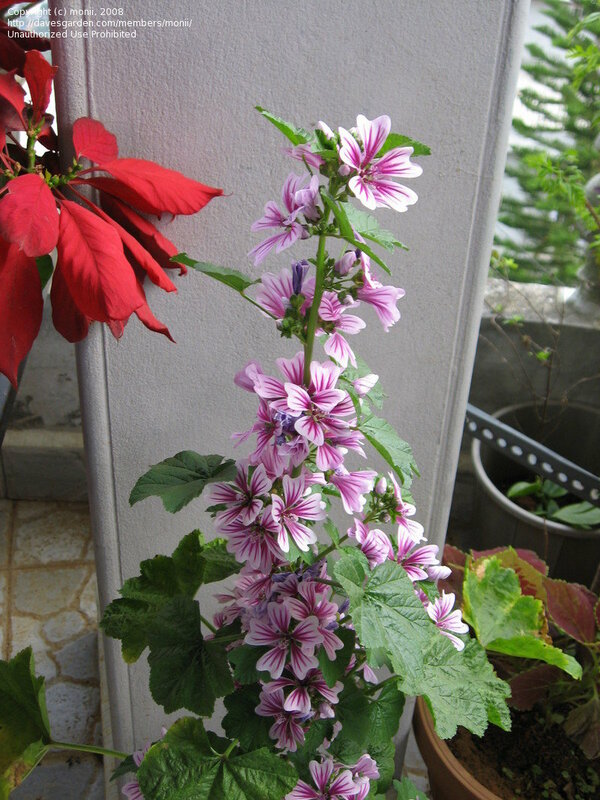 Zebrina Mallow - Bloomed profusely all summer in part shade/zone 4.